Life with Dylan: Did You See That Tail Fluke? What another surfer was almost swallowed by a whale off the California coast? Hey, did you see that guy in his kayak that almost got toppled over by the blue whale? 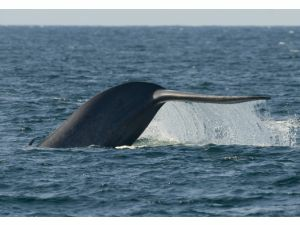 Oh, and don't forget about the blue whale that came so close to a boat in Dana Point that passengers got an eye-to-eye view. Yes, it seems that everywhere we turn someone is having a close encounter with these magnificent creatures of the ocean. I recently wrote an article for OC Moms about whale watching and now I want to go on another trip. Read my article and find out where you can go whale watching along with some great tips for taking the family out for the day on a whale watching cruise. At least it's not a shark. Anyway I did see that video on TV with the kayak and the whale jumping out.